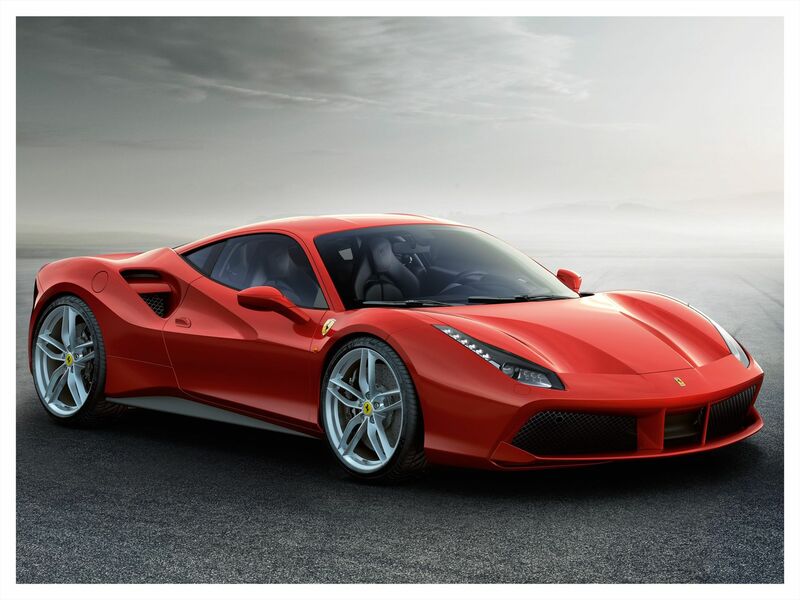 On its official debut at a private preview held at the new Scuderia South Africa premises, the 488 GTB sets a new benchmark for the sports car sector. 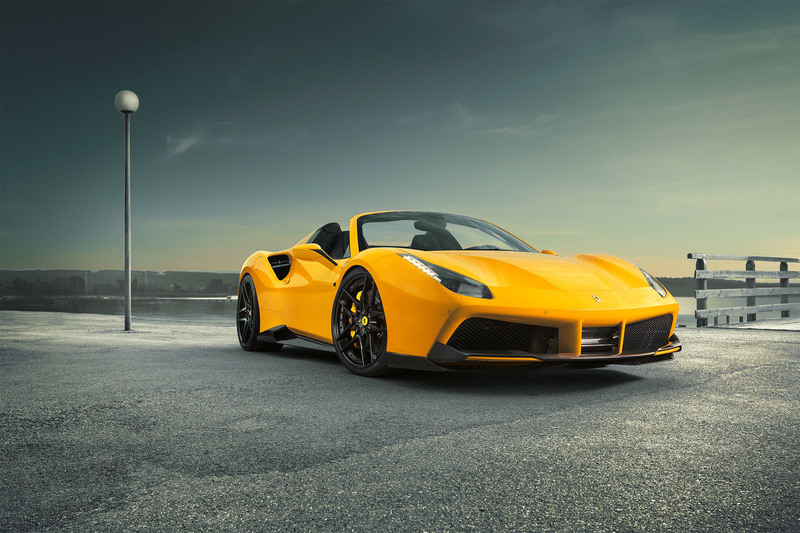 Forty years on from the launch of Ferrari’s iconic first-ever mid-rear-engined V8 berlinetta, the 308, the 488 GTB opens a new chapter in the history of cars with this particular architecture. 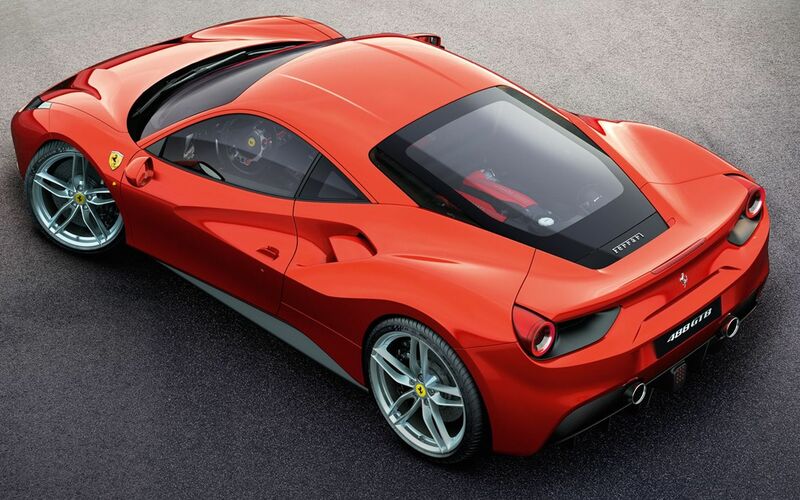 Designed by the Ferrari Style Centre, the 488 GTB’s sculptural forms are completely new. 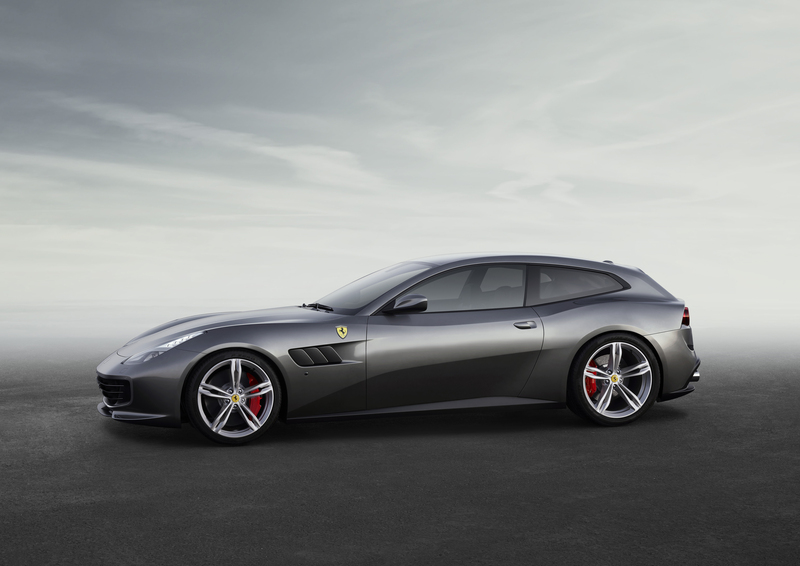 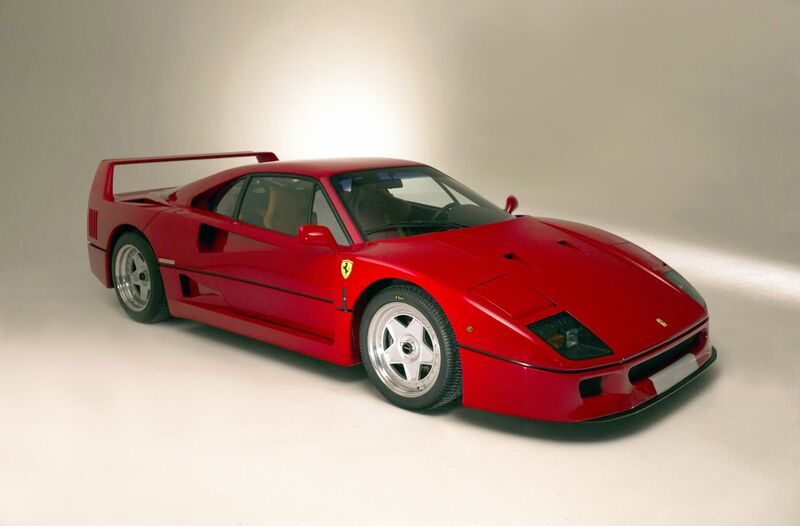 They accentuate the car’s sportiness yet retain the classically clean, pure lines typical of Ferrari’s legendary styling. 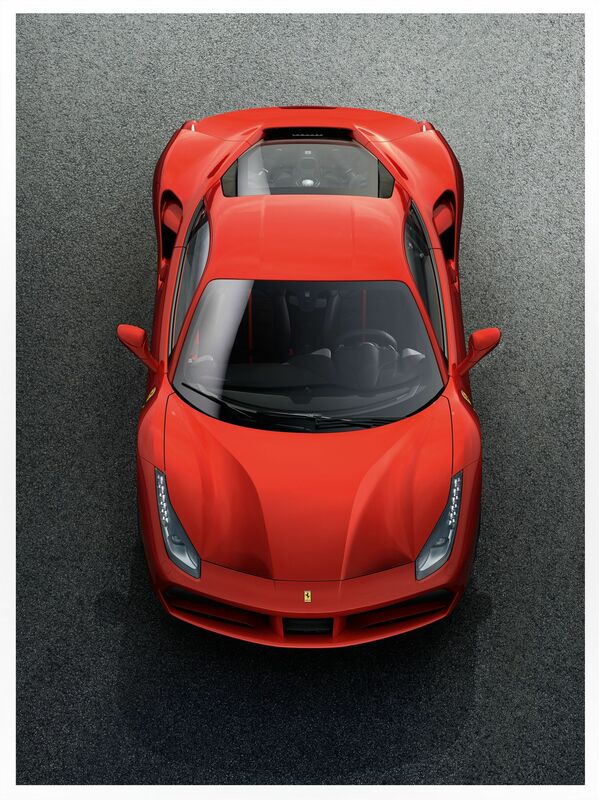 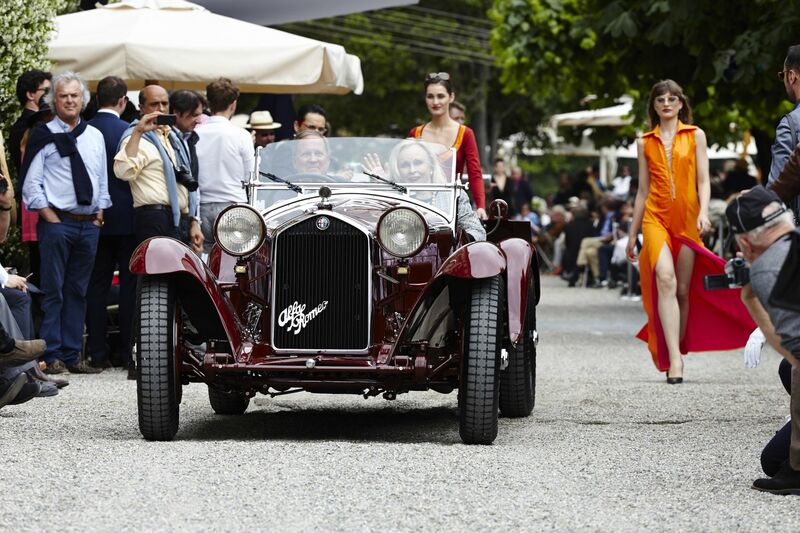 The seamless interweaving of form and function is clear in every detail, in fact. 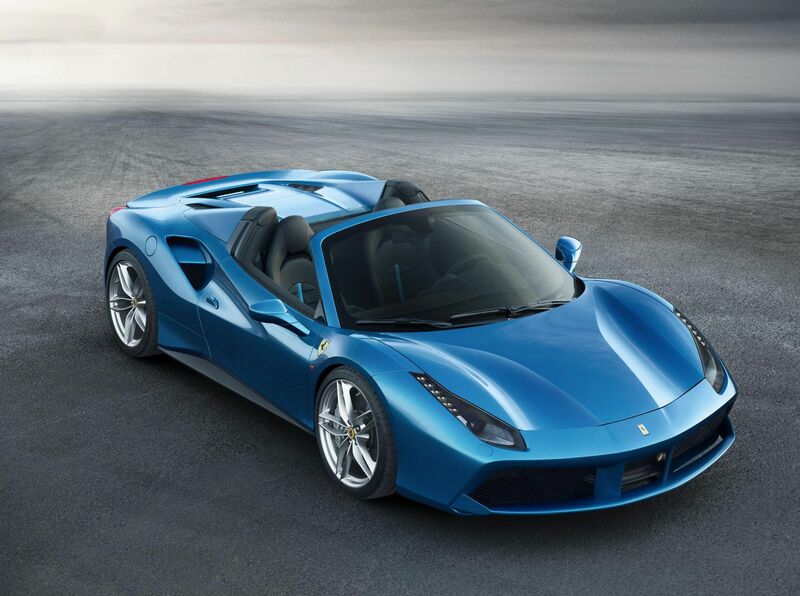 Certain design elements are also obvious nods to the past, not least the 308 GTB-inspired styling of the flanks. 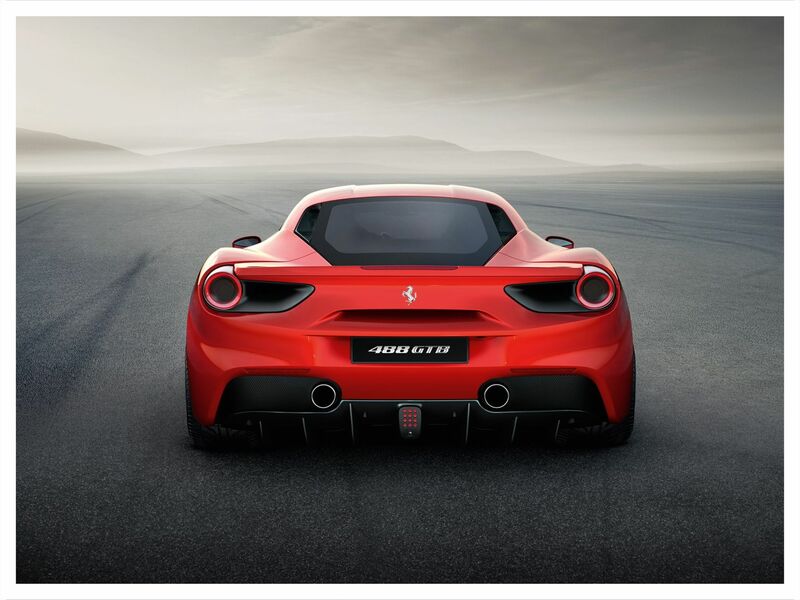 The 488 GTB’s revolutionary aerodynamics incorporates patented solutions, such as the blown rear spoiler, as well as innovative features like the 458 GT-derived aerodynamic underbody with vortex generators. 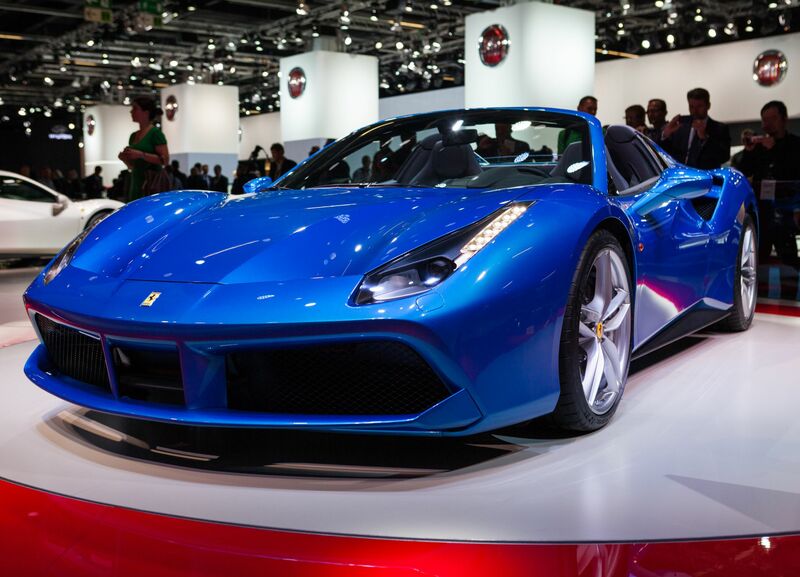 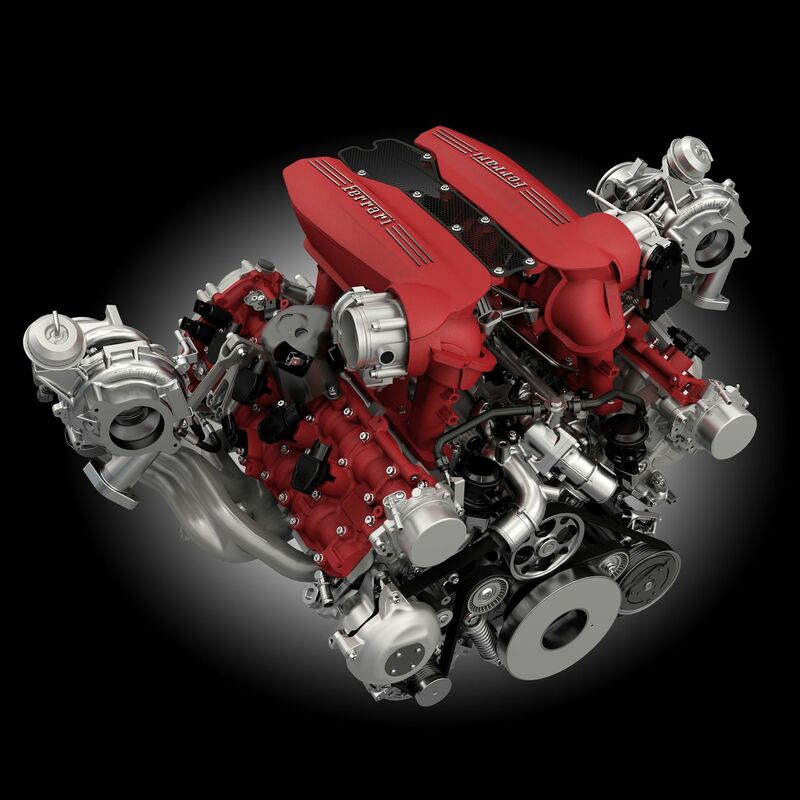 The result is a new efficiency record for a Ferrari (E=1.67). 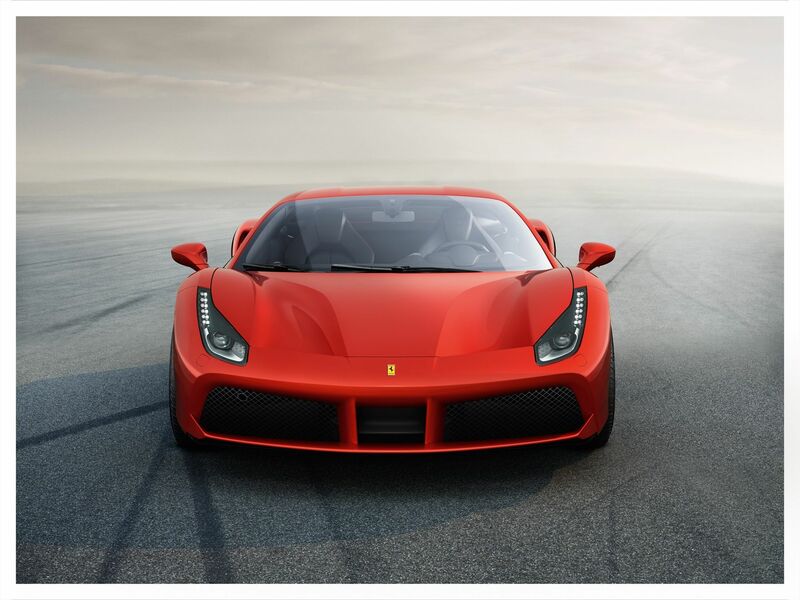 Downforce increases to 325 kg at 250 km/h, thanks in part to active aerodynamic devices which reduce drag whilst simultaneously generating downforce when required. 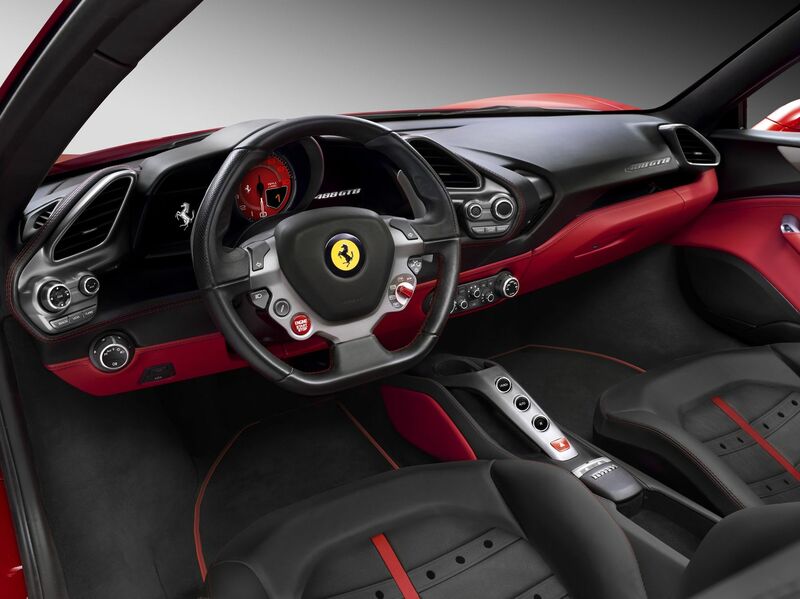 The 488 GTB makes its debut in a new Rosso Corsa Met livery with black and red technical fabric cabin trim, and in a Grigio Ferro Met livery with black and Beige Tradizione leather interior trim.